I love the kindness of Jesus depicted in this sculpture. The lamb in his arms is looking to Christ as his source with complete trust and dependency. “My sheep know me and hear my voice”. This sculpture reminds us of the many scriptures in the Bible of Christ as our shepherd and we as his sheep. 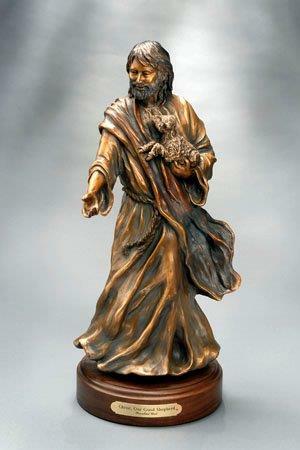 This sculpture would make a significant gift to one who has dedicated his life to ministry. Also available in a six foot size.